The recent boom in the US mattress industry due to many new e-commerce startups has mostly been spearheaded by local companies like Casper and Leesa, but they’ve not been without competition from elsewhere. 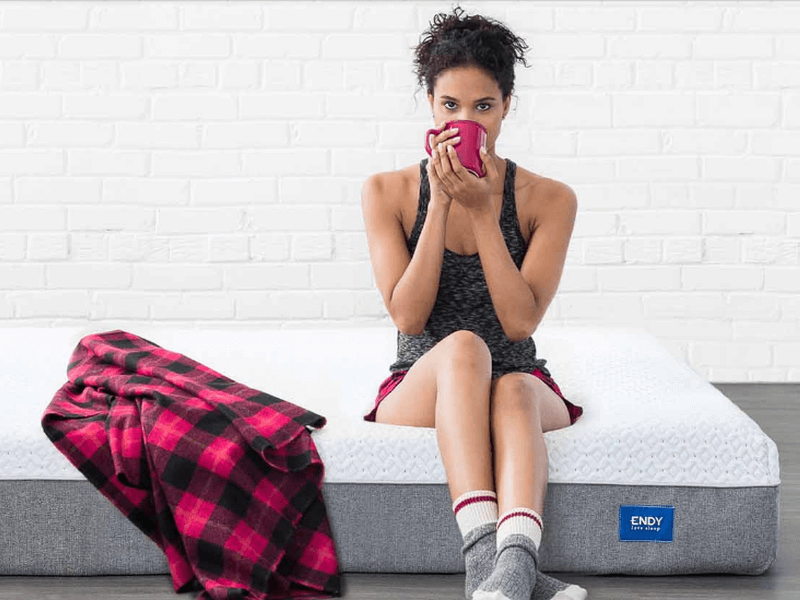 Enter: Toronto-based Endy, launched in 2015 and currently the largest direct-to-consumer online mattress store in Canada. It’s built a solid reputation for itself, too; receiving the Techweek 100 Top Innovators Award in 2016. The Endy hybrid foam mattress comes in a singular design meant to provide optimal comfort through all four seasons. Each purchase offers very competitive pricing, free shipping, a risk-free 100-night trial, an easy return policy, and a 10-year warranty. Similar to most hybrid foam mattresses, the construction of the Endy mattress is simple but streamlined: Three layers of different types of foam are stacked and then wrapped in a fire retardant fabric, before being encased in a breathable, modern-looking mattress cover. Although typical of a mattress-in-a-box in almost every way, what sets apart the Endy mattress from the pack—other than being designed and manufactured in Canada—is that its memory foam layer is located at the top. Designs of competitors typically feature a different material on top, with the memory foam layer underneath it. This two-inch top layer is composed of high density Endy foam: responsive memory foam that’s gel-infused and meant to provide pressure relief, a cooling effect, contour and hug, as well as plain comfort. This material is a great choice, minimizing negative heat and motion transfer properties. Next is a three-inch middle layer of high density transition polyfoam, which provides an area of gradual change in feel and density between the Endy foam layer and the foundational base. The five-inch bottom layer of high density support polyfoam is—as just mentioned—the foundation of the mattress, which provides deep compression support and breathability. Overall, the mattress contains 10 inches of CertiPUR-US approved foam held together by a water-based adhesive. Beyond that, there is the regulation standard fire retardant sock, which every mattress should have. The removable mattress cover—simple, minimalist, monochromatic and two-tone–is made of a plush, stretch knit textile that’s a blend of Polyester and Lycra. We very much appreciate the fact that Endy specifically states that the mattress cover is machine washable—not just good for spot cleaning or dry cleaning. This is a feature that we rarely see in comparable mattresses out in the market. The mattresses are a little lighter than average, even if you include the weight of packaging; from the twin’s 43 pounds in ship weight, to the California king’s 92 pounds. This results in a less compact and slightly unwieldy package—though not as heavy as most—that’s nevertheless a bit easier to unbox in a straightforward manner down the line. The Endy mattress is available in six standard US mattress sizes: twin, twin XL, full, queen, king and California king. You can have it shipped to any address within the 48 contiguous US States and the 10 provinces in Canada. All mattresses are sent rolled up end to end in a box—unlike some others, which are first folded in half, then rolled side to side. Endy claims that the mattress works with many support structures, including: box springs, platform beds, slatted bases and even the floor. Judging by this list, box foundations should also work. However, the space between slats or support beams should be no greater than two inches. Once you purchase an Endy mattress online, expect it to arrive in a box via front-door delivery service within three to seven days. After transporting from your doorstep to your designated bedroom, you can start the surprisingly painless unboxing process. Simply open the box and slide out the rolled up mattress. The package also includes a cutting tool that you can use to free the mattress from the plastic wrapping. Do that, and the mattress will start to decompress and take shape; it will take a few hours to be ready. As with most new products, there might be a fresh-from-the-factory smell, but this off-gassing should dissipate after the packaging is disposed of and the mattress is fully expanded. If you can’t do all of this right away, don’t worry; the mattress can actually stay compressed inside the box and in storage for up to six months without causing permanent damage to the product! Other brands typically state a much shorter safe storage period, sometimes lasting just one or two weeks. However, with Endy is it critical to remember that the non-extendable 100-night trial starts on the day the mattress is delivered. Endy mattress’ design is optimized for sleepers under 250 pounds per side; meaning the recommended weight capacity is around 500 pounds. This is a little below average, but by no means an isolated weakness; other companies’ mattresses are comparable in promised capacity, including those produced by Eight, for example. During the trial period, you will be able to properly assess if the Endy mattress is right for you. 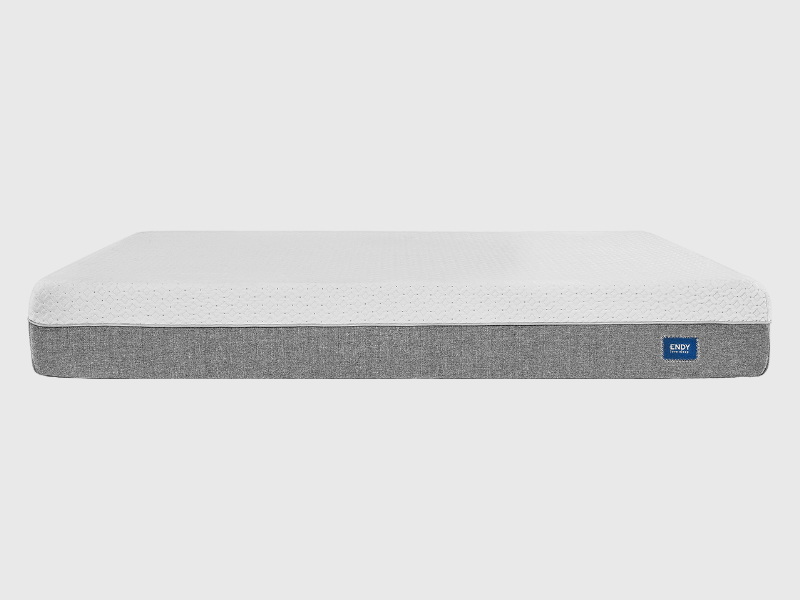 Because of the gel-infused memory foam top layer, expect a contour that varies depending on the weight of the sleeper. We suspect that this is part of why the weight capacity is below average; a heavier sleeper will obviously feel more hug and sinkage, though the gel will likely take care of any heat transfer issues. This can still greatly affect preference and perceived comfort and softness, though. 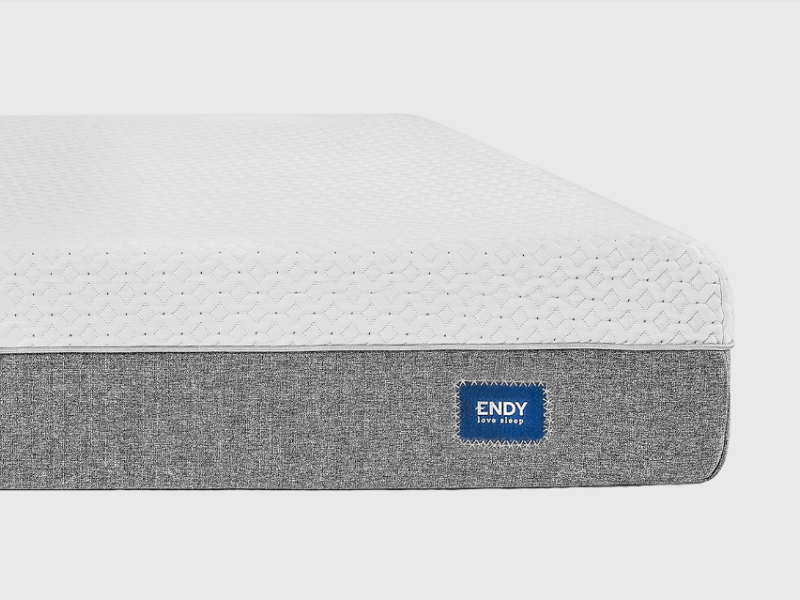 Judging from the reviews left of the product website, many do find that Endy’s hybrid foam mattress is satisfactory; with a few exceptions complaining that it is either too soft or a bit too firm, or that is it lacking in edge support. On the positive side, you can expect less motion transfer without reduced responsiveness; and increased cooling without too much firmness and bounciness. The biggest signal boost that Endy enjoys comes from the fact that its products are proudly designed and crafted in Canada, using the best materials possible that one can find in the Great North. Also adding to the company’s positive reputation is the fact that the Endy mattress is specifically created and marketed as an amazing mattress-in-a-box option that can go head to head with its more popular US competitors quality-wise—but at a fraction of the usual cost. 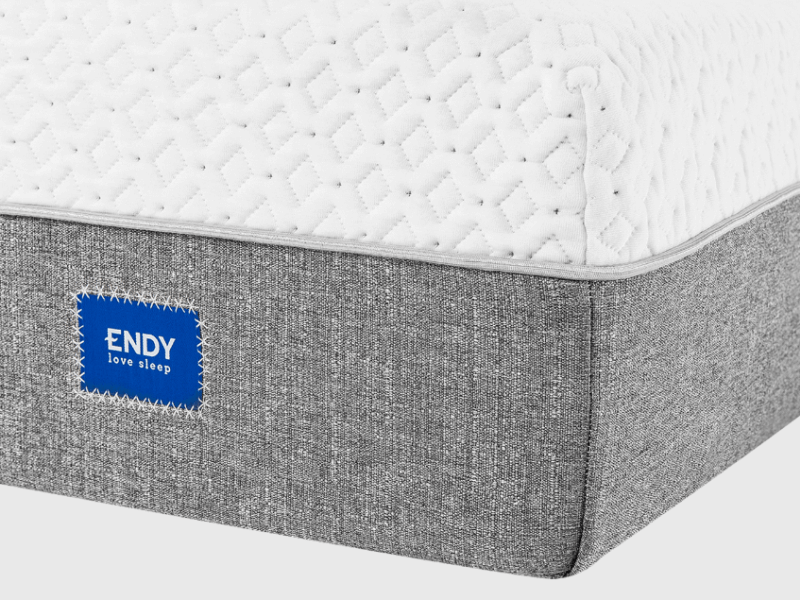 Although the company hasn’t been around for very long—eliminating that virtual stamp of excellence only longevity and long term consistency can give, not to mention anecdotal evidence of its usable lifespan claims—Endy claims that its mattress is the top customer-rated in its home country of Canada, backed by the lowest rate of returns. Endy offers mattress buyers a generous return policy and a risk-free 100-night trial that starts on the day the product is delivered. Front-door service and shipping is free, and should you decide to keep the mattress, you also enjoy a 10-year warranty. Customer service is stellar; although the product website does not offer the convenience of live chat—like fellow online mattress stores Casper or Eight, among others—email responses are quick and the FAQ is robust. You should not find it difficult to clear up any issue that could make or break you decision to purchase an Endy product. The company even helps when it comes to disposing of your old mattress—contact them for recommendations, and they’ll be able to point you to a local charity or recycling program. If you find that the Endy mattress is not for you, simply email the company before the trial ends and get your money back. As long as you contact them within the first 100 nights, you’re in the clear; and the generous return policy even makes sure that there are no extra costs you have to cover to get this done. Endy will arrange a pickup, take the mattress, and issue a full refund—no questions asked. As o this writing, the queen-sized Endy mattress is available for $850 CAD, which translates to a little over $632 USD. By far one of the least expensive mattress-in-a-box options, Endy mattresses are an average of $250 to $300 cheaper than the offerings of popular US online mattress stores. The Eight mattress—without the Eight smart sleep tracker, though—comes close at $799, but that is still over $150 higher. You’ll be hard pressed to find a similar product of the same quality at a lower price. To summarize: The Endy mattress is proudly made in Canada, and is designed to provide comfort and support through all four seasons. It deals with heat and motion transfer well, and even comes with a removable and machine washable top mattress cover for easy cleaning. Upon purchase, it gives you the standard array of features that most mattress-in-a-box companies offer: free shipping, a 100-night trial, a generous return policy, and a 10-year warranty. It is even up to $300 cheaper than mattresses made by leading competitors. There is no reason to not try the product; unless, of course, you are over 250 pounds and therefore not covered by the recommended weight capacity. Larger sleepers may also feel less comfortable due to the top layer of memory foam; although the gel-infused material handles cooling well, excessive hug or sinkage may be an issue.